WHAT ARE YOUR WORSHIP EXPERIENCES LIKE? Each Sunday at Avenue Church you’ll find a relaxed and friendly atmosphere with exciting, contemporary worship music and a practical, relevant message. Children are well-cared for in a loving, quality nursery and fun-filled Avenue Kids service. WHAT DO I WEAR TO ATTEND YOUR EXPERIENCES? You’ll find everything from casual clothes to business suits at our Experiences. Come in what is comfortable for you, because Avenue is not about what you look like or what you wear. Avenue Church is located at Opportunity Village: Engelstad Campus. 6050 S. Buffalo Dr, just off the 215 and Buffalo. Due to being a church start up, we rent our venue out on Sundays but our replacement for midweek services are Groups. At Avenue Church your children are a top priority. Avenue Kids is a clean and safe place that is staffed with loving A-Team member. We offer a dynamic children’s ministry called Avenue Kids. There are many ways to get involved. You can begin by attending our Growth Track. Groups are another great way to connect. In each of these, you can build friendships, learn more about the life of our church, and have the opportunity to grow in your faith. Groups are an important part of Avenue Church; in fact, you haven’t fully experienced the church until you’ve experienced our small groups. Groups allow you to meet other members and develop relationships that will spur your relationship with God. 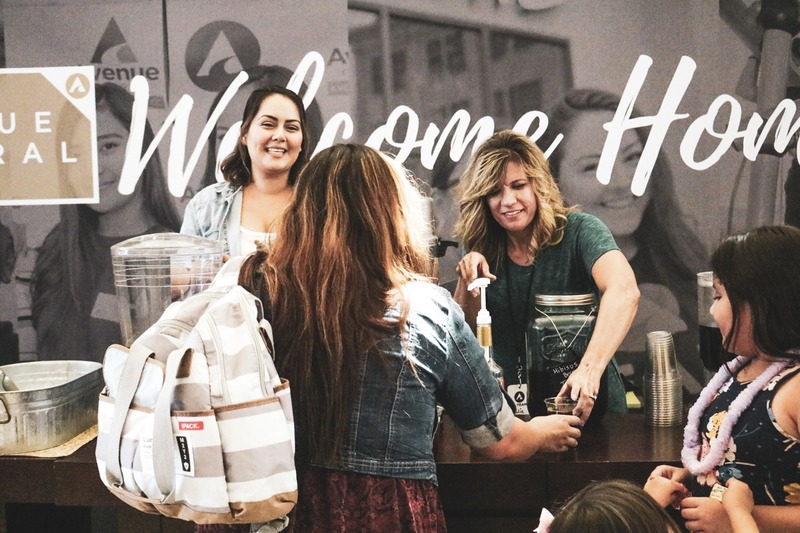 As Avenue Church grows, groups allow us to “stay small” and connected. Groups are available for all ages and interests—there’s bound to be one that’s just right for you. One of the easiest things to do at Avenue Church is to participate in a group. Groups meet throughout Las Vegas and they provide a place for Bible study, fellowship, and support. Wherever you live, there’s a small group near you. Check out our online directory and visit a group this week. You can register your children before you come to Avenue Church! Fill out a short form and submit. You will receive a mobile pass after you register online. Simply scan your mobile pass at our self check in station located in the lobby. A printed name tag and code will be printed for each child registered.